This video challengea the scientific establishment to reexamine its underlying premises in understanding ancient civilizations and open up to the possibility of meaningful debate around alternative theories of humanity’s true past.This video is in support of a much greater antiquity for civilization, a convincing argument for the existence of advanced technologies in prehistory, and the outline of a lost fountainhead of world culture. According to the ancient alien theory, extraterrestrials with superior knowledge of science and engineering landed on Earth thousands of years ago, sharing their expertise with early civilizations and forever changing the course of human history. But how did this concept develop, and is there any evidence to support it? Ancient alien theory grew out of the centuries-old idea that life exists on other planets, and that humans and extraterrestrials have crossed paths before.. The HOPI talk about civilization being destroyed about 11,000 years ago by a COMET. * This info was originally published around 1938, in a Los Angeles, CA newspaper article. What if everything you’ve been taught about the origins of civilization is wrong? Be it that certain pieces of our history have been intentionally hidden, or that we have yet to discover and realize the true story of our past, new archaeological and geological discoveries are revealing that sophisticated civilizations have likely existed in prehistoric times. 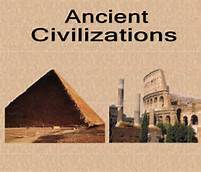 Until recently, the archaeological community has spread the view that the beginnings of human civilization started after the last Ice Age, which ended around 9,600 BC. All human ancestors prior to this time were recognized as primitive, uncivilized hunter-gatherers who were incapable of communal organization and architectural design. It was only after the Ice Age, when huge 2-mile deep ice caps that covered much of Europe and North America melted, that our human ancestors started to develop and perfect agriculture, forming more-complex economic and social structures around 4000 BC. Archaeologists believed that first cities started around 3500 BC in Mesopotamia and, shortly after, in Egypt. On the European continent, the oldest megalithic sites are dated around 3,000 BC, and the popular Stonehenge is dated between 2,400 BC and 1,800 BC. This is the established chronology being taught in schools and believed by modern society. 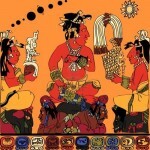 Prehistoric societies such as Atlantis have been declared myth. Until now. New research now reveals that civilized humans were settled on Earth during the prehistoric era. Since 2011, Dr. Natawidjaja and his team have worked on a geological survey site in Indonesia about 100 miles from the city of Bandung. The significance of the site was first recognized in 1914 when megalithic structures made from blocks of columnar basalt were found around a summit of a large hill. When the hill’s summit was cleared of trees, it was realized that the blocks formed five terraces. These were believed to be used for meditation and retreat. The site was deemed sacred by locals and dubbed Gunung Padang, meaning “Mountain of Light” or “Mountain of Enlightenment”. The age of the terrace structures was estimated around 1,500 BC to 2,500 BC. What Natawidjaja discovered at Gunung Padang was astounding. The hill was actually not a natural hill but a 300-ft high step-pyramid. And what’s even more controversial is that the structure was much older than anyone imagined. Natawidjaja radiocarbon dated the terrace structures at around 500 to 1,500 BC, similar to previous estimates. 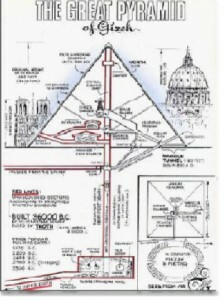 He also used tubular drills to bring up cores of earth and stone from various depths underneath the surface megaliths. As the drills dug deeper, Natawidjaja continued to discover that the columnar basalt structures extended far beneath the surface and yielded much older dates. 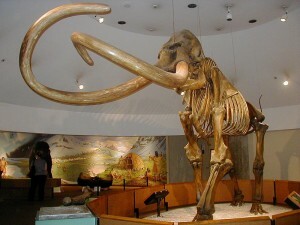 At depths of 90 feet and more, the material was found to be 20,000 BC to 22,000 BC years old. Using radiocarbon dating, Natawidjaja and his team proved that man-made megalithic structures and hence a prehistoric human civilization existed well into the Ice Age. 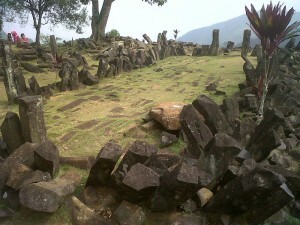 Image:Gunung Padang is a megalithic site located in Karyamukti village, Cianjurregency, West Java Province of Indonesia, . Credit: Mohammad Fadli SOURCE: Wikipedia CC BY-SA 3. The Greek philosopher Plato was also a believer that high civilization existed well into the last Ice Age. His recorded dialogs with other scholars of his time date Atlantis and its submergence by floods and earthquakes at around 9,000 BC, which is, coincidentally, in agreement with modern scientific knowledge about the rapidly rising sea levels towards the end of the Ice Age at 9,600 BC. The question now arises: What happened to prehistoric civilizations? Why did they not survive the “Younger Dryas” period, which dates from 10,900 BC to 9,600BC? It is known that the Younger Dryas was a truly cataclysmic period on Earth, with immense climate instability and terrifying global conditions. 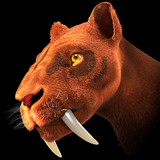 Scientists have long debated the mystery behind this and the reasons for the massive extinction of North American megafauna such as short-faced bears and saber-toothed cats dated around 11,000 BC. Was the same mystery responsible for a massive human population decline and disappearance of advanced prehistoric societies? It’s known that during the Younger Dryas, the Earth experienced great global instability, with a sharp decline in temperatures even colder than during the peak of the Ice Age. A return to a warmer climate around 9,600 BC caused a sudden melting of the remaining ice caps, resulting in a quick rising of the ocean levels. From Issue 104 of Atlantis Rising Magazine (http://www.atlantisrising.com), Robert Schoch speaks with Atlantis Rising Magazine Publisher JD Kenyon on his journey to Gunung Padang and the searches for lost Ics Age civilizations in Indonesia. More to Come . . . You are leaving the ‘TAL’ Zone. Uploaded by Danlooooo on Mar 21, 2011. This video, moderated by Roger Moore, discusses evidence of KGB involvement in UFO research after the second world war. It looks at possible Alien involvement in the building of the pyramids, as well as video evidence of a crashed saucer.